This is the third post of my Thanksgiving Road Trip to San Diego. For Days 1 & 2, click here. For Days 3 & 4, click here. 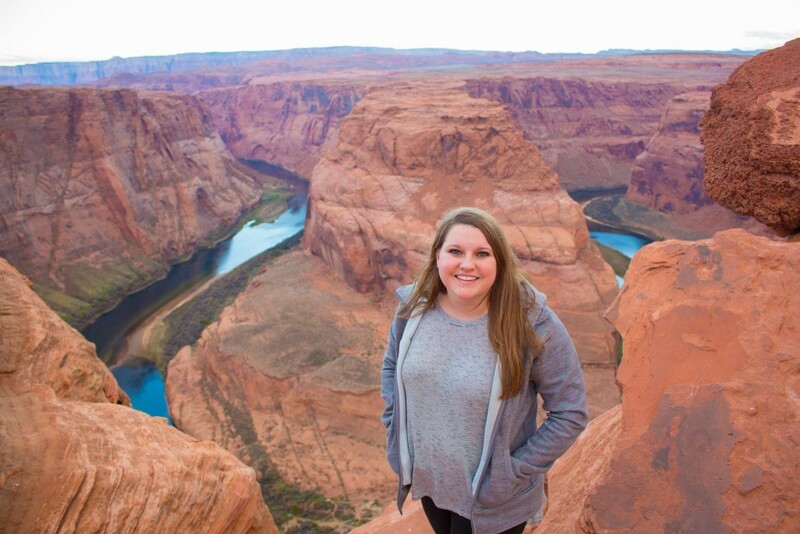 We spent our fifth day driving from San Diego to Page, Arizona taking the I-8 route up through Sedona. We definitely want to come back and visit Sedona sometime soon. It’s gorgeous! It’s like a more green version of Zion National Park, with more civilization. Brighton also compared it to a desert Park City. 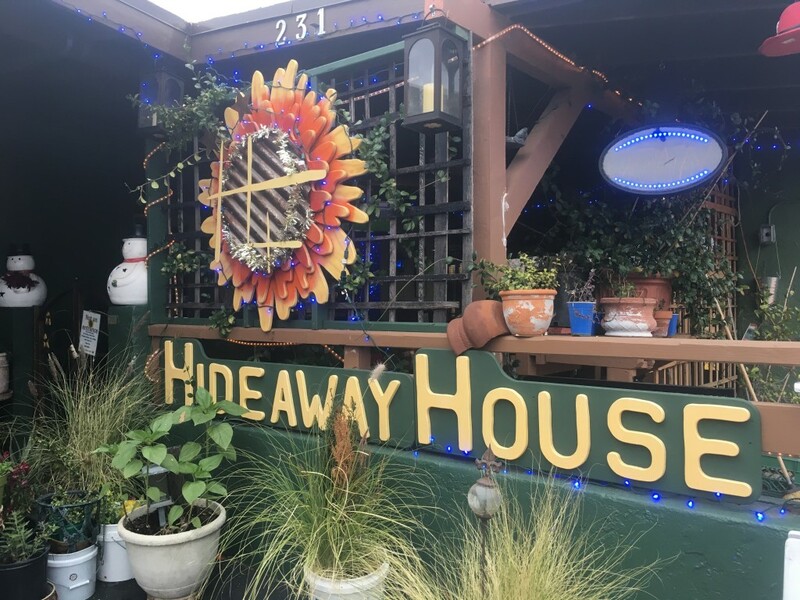 We stopped there for lunch-dinner at the Hideaway House. They label themselves as “curious casual Italian.” I created my own pizza and Brighton got the burger (go figure! haha). They were both good, but our server seemed distracted and didn’t check in with us enough. We finally arrived at our hotel for the night in Page, the Hampton Inn & Suites. It’s a brand new hotel— only 4 months old (right now). The beds were just so unbelievably comfortable, and exactly what we needed after a long day of driving. 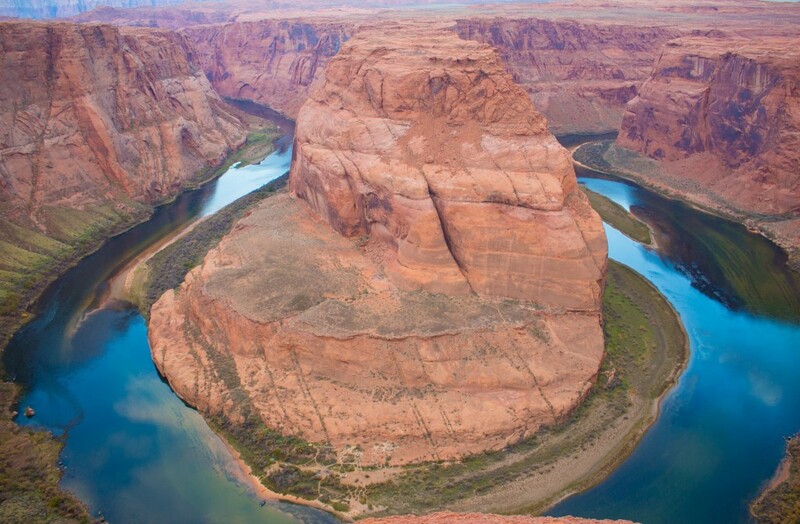 We chose to stay in Page because it was a place we haven’t been before, so we could avoid the I-15 traffic of Las Vegas, but most of all so we could see Horseshoe Bend. Even at sunrise, it was super busy with tourists taking pictures. I can only imagine what sunset there looks like, and how many people gather to get their perfect photo. For more information, go to this NPS hiking guide. 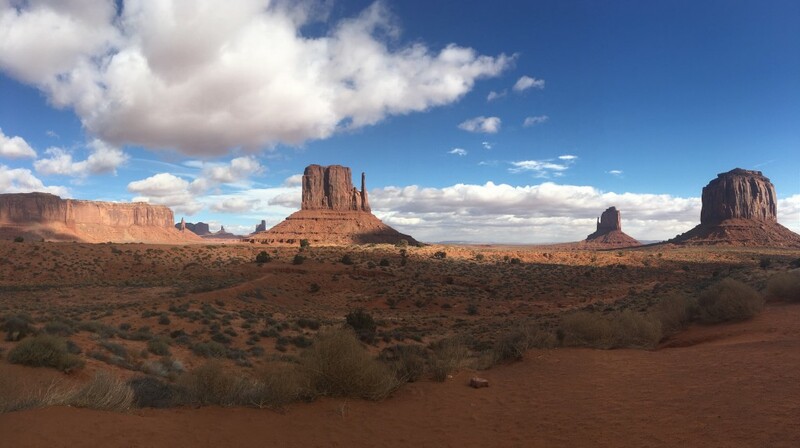 About 2 hours away from Horseshoe Bend is Monument Valley. This view has been famed in movies for being the classic “American West” backdrop. 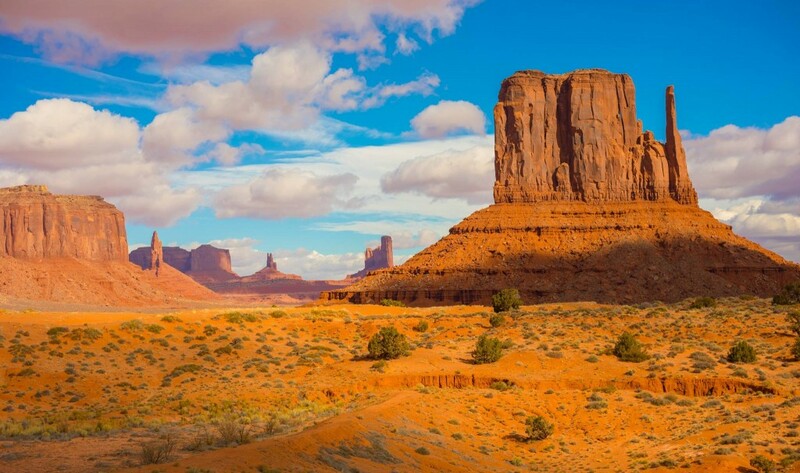 It’s located on the Navajo Nation Reservation, and they operate a park with a visitor center that you can enter and wander. There is a 17 mile dirt road that takes you through their scenic byway. The cost to enter is $20, and they do not take the Annual National Parks pass because it’s not part of the NPS. It’s definitely worth a visit if you’ll be in the area. The huge “monuments” can also be seen from outside of the park, but their scenic drive gives you an up-close view of the scene. After our drive through Monument Valley, we drove for about 7 hours back to Salt Lake. By the time we arrived home, it was snowing. What a dramatic change- from sunny beaches, to windy desert, to snowy mountains! Have you taken the long way back on a road trip to see some sweet sights? Where’d you go? Was it worth it? Love your pictures! 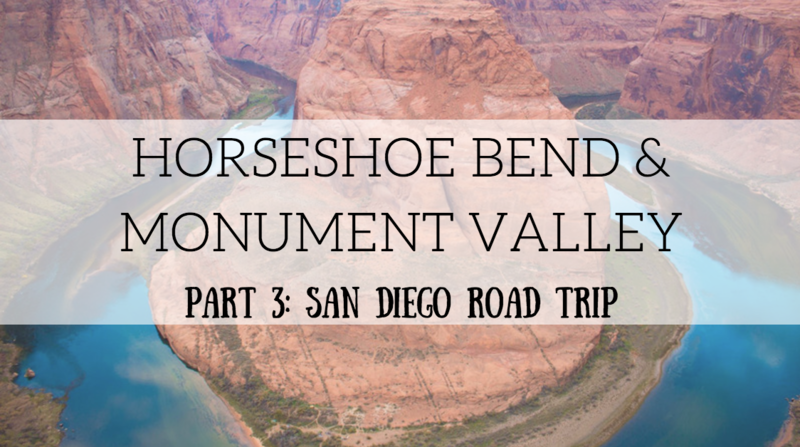 I was able to head to MV but not Horseshoe Bend yet (I am a little discouraged after hearing how crazy packed it is! ).